Welcome to Tea in the Treetops, and Angelya’s goals list for this year’s Wonderfully Wicked Read-a-thon! My main goal is to read at least 100 pages a day over the ten days. That should give me a buffer for those days in the week where I don’t read so much as others. My to-read list is enormous but I’ve identified these to read this week. If I can get through even half of them I’ll be really happy! Comments: I had a bit of a difficult start today as I was home sick with a nasty cold, as well as looking after my 9-month-old. Not a lot of reading time, sadly. Comments: Okay so I knew this weekend was going to be light on reading time, but I had hoped to get through a little more than this 😛 I had a very busy weekend and barely got time to sit down at all in the end. Must do better on my daily page goals! Comments: Very happy with today’s reading 🙂 I was making up for lost time a little bit.. and enjoyed the end of The Thief a lot! There just seemed to be a lot of travel that slowed the story down in places. The action and banter between the characters was great though. On to some Doctor Who! Comments: Another work day today so plenty of time for reading on the train. 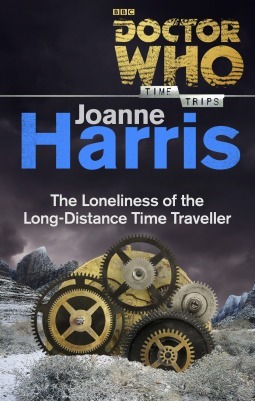 I read the Doctor Who short story all in one go. I don’t know much about the Third Doctor but this was a very well-put-together story, slightly dark and poignant but compelling. 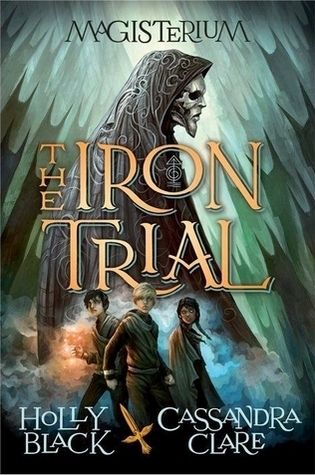 I also made a start on the Magisterium book, which is rather Harry Potterish so far – outcast child who doesn’t know much about his magical heritage, lost his Mother who died protecting him, off to Mage School… Despite some parallels the world building is really quite awesome and with Clare’s brand of witty snark, I’m really rather enjoying it. Comments: Another terrible total today, but it’s my day home with my kids on Wednesdays so no time for reading. I’m rather enjoying this book though! Comments: Okay so another day where I didn’t get to read so much. But I did make cookies and a carrot cake so I count that as a successful day. Work day tomorrow so I’ll get more time for reading! Comments: Well, I made it over my page goal, but I still didn’t get a lot of time for reading today! Once again it seems the read-a-thon curse has struck – suddenly I am super busy and don’t have any time for sitting down to read. 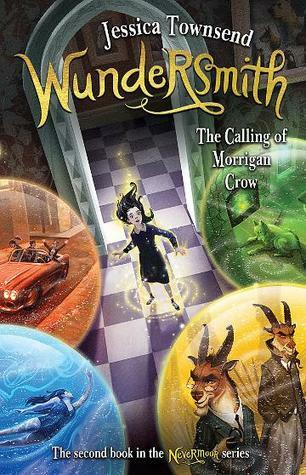 On the upside, I did finished the Magisterium book today! It’s rather a lot like Harry Potter, but different enough to still be really great. 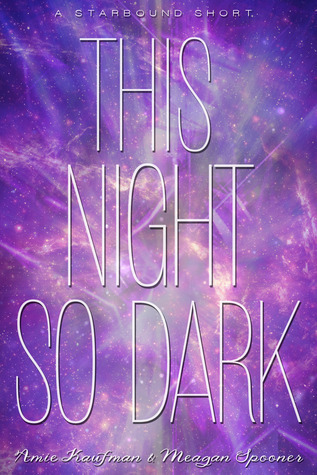 Next up is a novella that I forgot I had there to read – the prequel to These Broken Stars, called This Night So Dark. Comments: As with last weekend, I didn’t have a lot of time for reading. The prequel short story to These Broken Stars was pretty tense, but I’m not really sure where it is supposed to fit into the wider story. 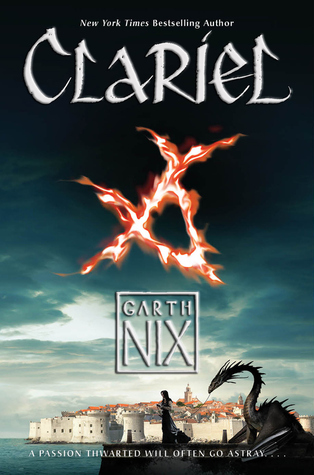 I am quite enjoying the new Garth Nix, Clariel. It’s been a very long time since I read Sabriel, but it seems previous knowledge of the first books isn’t totally necessary. Tomorrow’s the last day so I’m hoping to put in a good effort! Comments: Such a woeful total for today! I worked at home today so had no commute time for reading. The only time I got near my kindle was while I was putting my bubba to sleep! My goal for the whole read-a-thon was 100 pages each day making a total of 1100, and I’ve fallen quite a bit short of that. Ah well, lots of things get in the way of reading when you have a family (especially during reada-thon weeks it seems). Thanks April! Its been a while since I’ve done a read-a-thon so I’m quite looking forward to it! Go you! Glad to hear you beat that cold and got some serious reading done today! 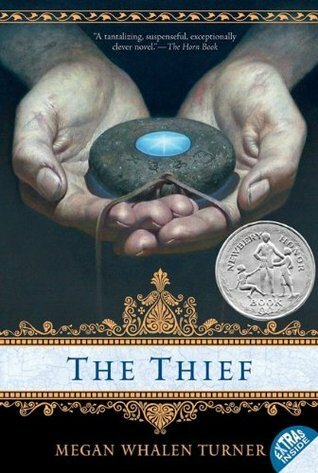 Ooooh I’m so excited that you read The Thief!!!! !